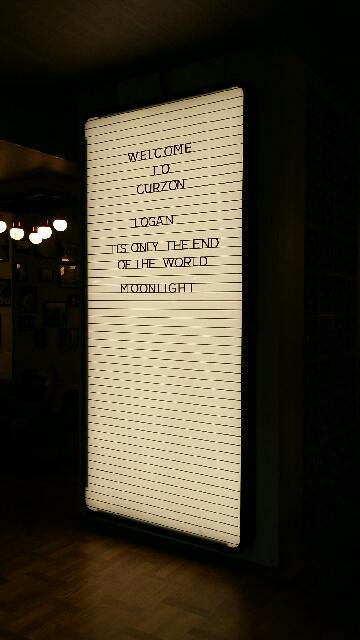 ‘Curzon is designed for the modern filmgoer’ and as it’s located in the culturally vibrant East End the designs had to mirror that. 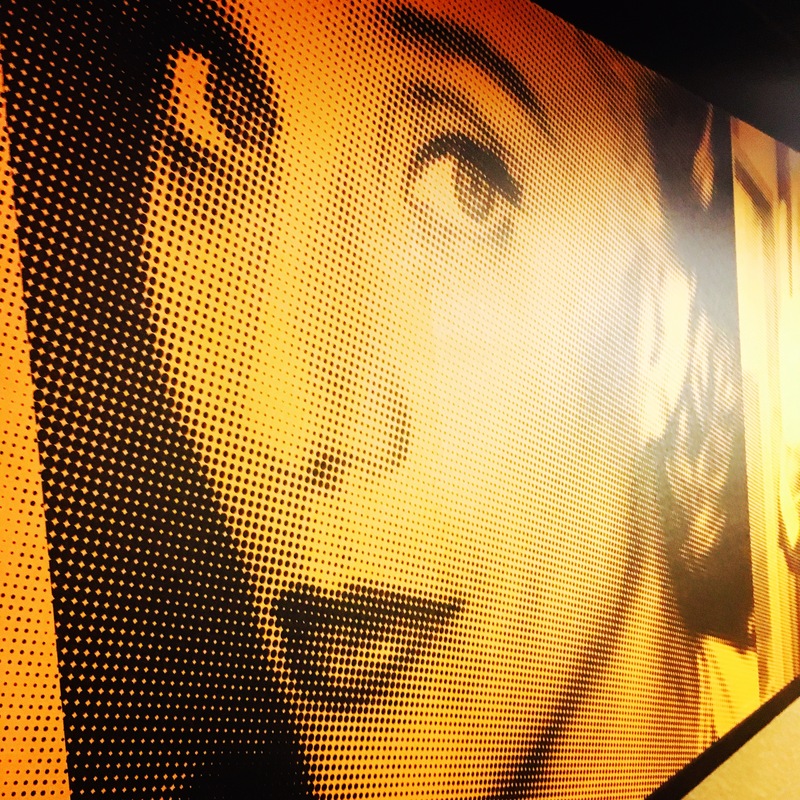 Graphica Display were proud to have Art worked, manufactured and installed all the graphic and signage pieces. Graphica carefully surveyed the site generating working drawings to create a very creative and vivid graphics package that tied in with the Curzon brand. With all the graphic and signage pieces We took aspects of traditional cinema and combined it with modern techniques to create an exciting atmosphere. We manufactured aluminium lightbox trays with individual lettering so you could swap and change in house. We created 128 frames all filled with iconic black and white film scenes. A gradient wallpaper starting from ice blue to vibrant yellow again highlighting important characters in film. Curzon wanted to bring something fresh back to traditional cinema. 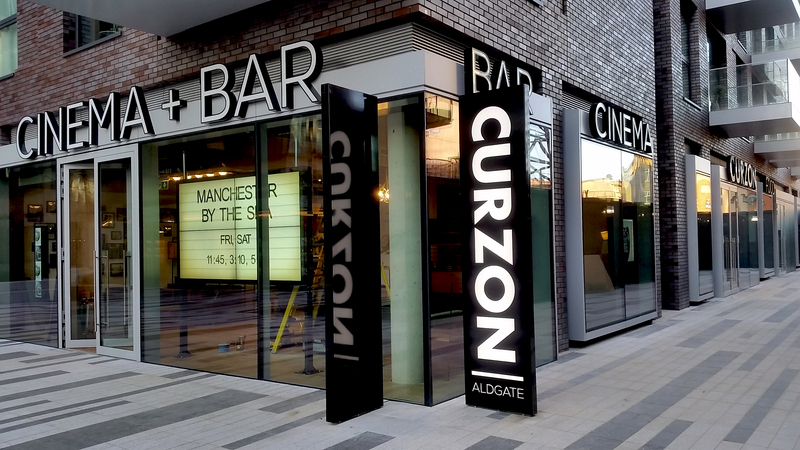 Curzon and Graphica Display worked together to create an experience for customers again, from the second they walked into the cinema to the moment they left. 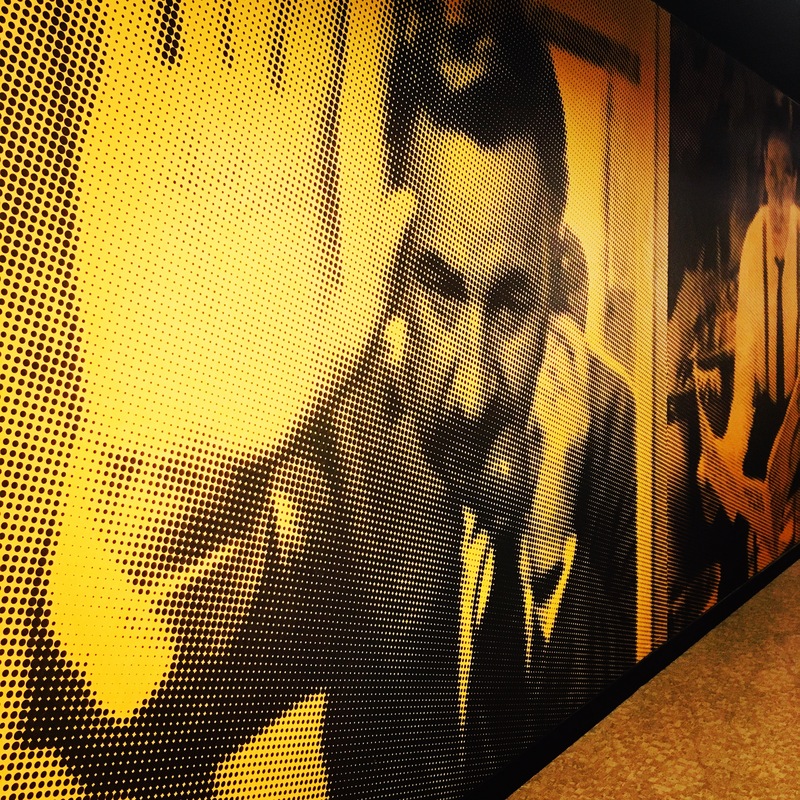 Products included: Exterior Totems and Signs including LED back-lit products, Interior Lightboxes, Picture frames and prints, Wayfinding Signage and over 200SQM of printed Muraspec wallpaper.